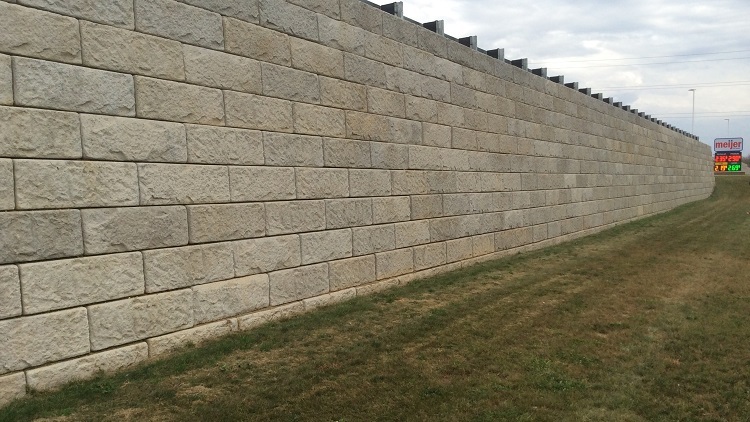 This project was value engineered to utilize Recon Modular Blocks in lieu of a Cast-in-Place retaining wall. 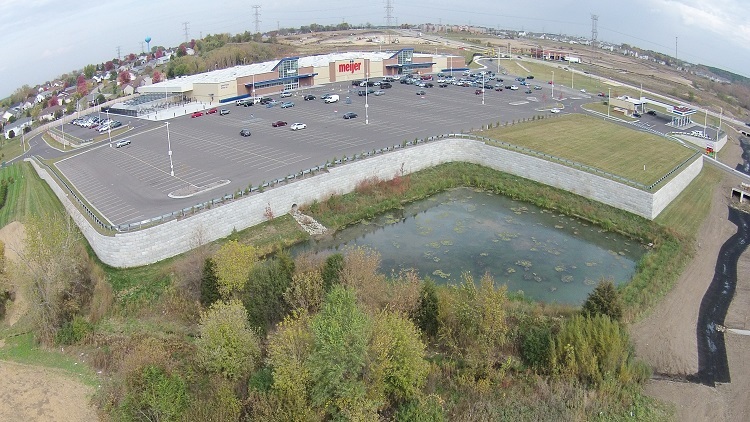 With nearly 40,000 SF of retaining wall, we were able to provide the owner significant savings over the originally designed retaining wall. One retaining wall on the cut excavation side of the job site had a significant slope above it and required permanent H-Pile Shoring for a safe working environment. 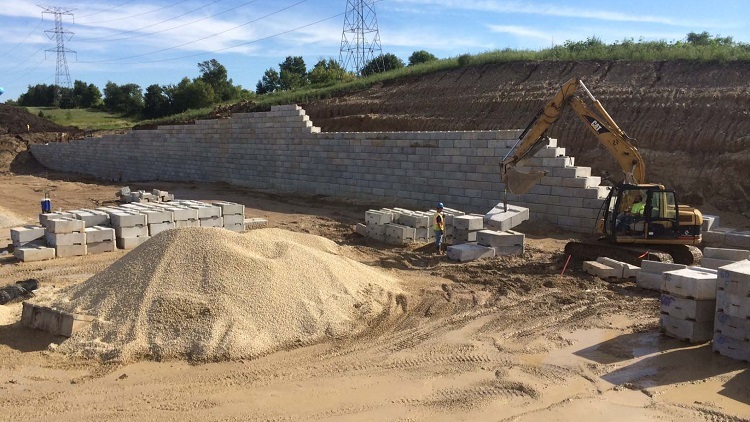 Another wall on the fill side of the job site was designed with geogrid reinforcement and installed around storm utility pipes and culverts. In the end, the owner was satisfied with significant savings the segmental wall system presented along with the functionality and aesthetics of the segmental blocks.